New Apple device is one more reason for IT managers to implement BYOD policies, analysts say. The Apple iPhone 5 may be designed more to woo consumers than businesses, but that won’t stop employees from bringing their shiny new smartphones into the workplace. This may put more pressure on businesses to develop bring-your-own-device (BYOD) policies, analysts say. Businesses should ready BYOD policies for iPhone 5. Telsyte analyst Foad Fadaghi similarly sees there's not much that would drive businesses to adopt the iPhone 5 if they have already bought previous models, he said. Improvements to security are part of the operating system, iOS 6, which is also available on older models of iPhone, he noted. “It’s not likely that this model will put people over the edge if they [have] already considered or trialled the [other iPhone] devices,” he said. Another benefit of the new iPhone for businesses is a feature called global proxy, Dulaney said. When a user connects to the public Internet, they can be routed to their company for filtering. Regardless of the iPhone 5’s appeal to businesses, its popularity with consumers makes a BYOD policy important, Fadaghi said. “For businesses, the biggest challenge is managing the variety of devices that are in the enterprise, whether they are in-house or BYOD,” he said. “We recommend that businesses do consider BYOD as a strategy both for keeping employees happy” and increasing their productivity. “The iPhone 5 will be extremely popular, and we would expect around 70 per cent of professionals who own one to use it for work,” said Ovum analyst Richard Absalom. "But we’d also expect around 70 per cent of professionals who own an Android phone to do the same — and there are far more of them. So as the smartphone market in general grows ... so will the BYOD trend," he said. “This surging usage does mean that it’s important for companies to develop and implement policies governing BYOD, in order to protect the corporate data being accessed on personally owned devices,” Absalom said. The new iPhone looks to continue to eat into Research In Motion’s BlackBerry sales, analysts predicted. Gartner has seen “a lot of substitution” in the enterprise of BlackBerry for iPhone, Dulaney said. “We just constantly get feedback from major customers wanting to downplay the BlackBerry [and] reduce the size of” their fleets." However, Dulaney said he’s watching the impact of a new BlackBerry model coming early next year. 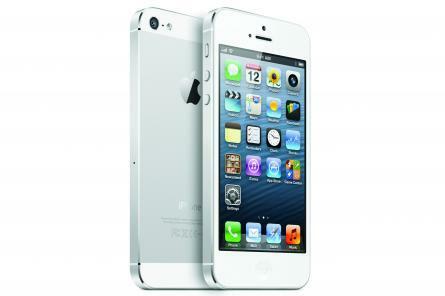 Read more about the pros and cons of the iPhone 5 for enterprise.